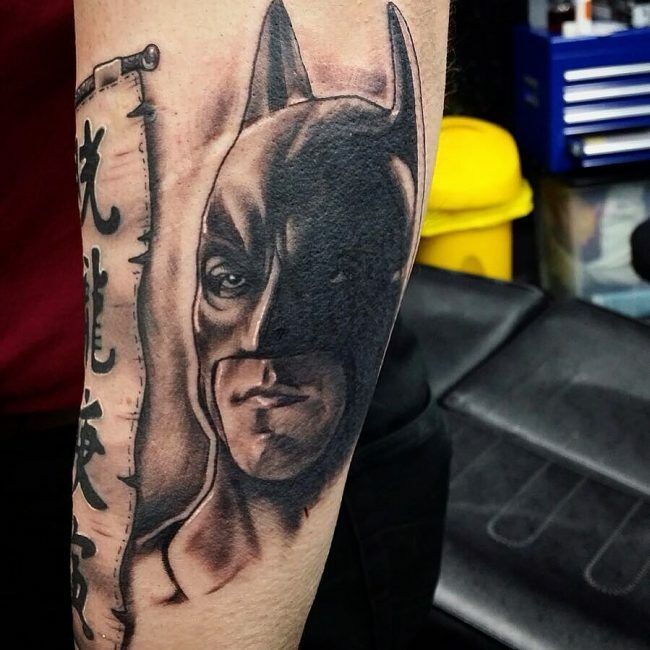 Batman tattoo has gained popularity with time following the resurgence of several Batman movies. Every man wants a supercharged style outlook, which can be achieved by using a superhero charm with seductive qualities. 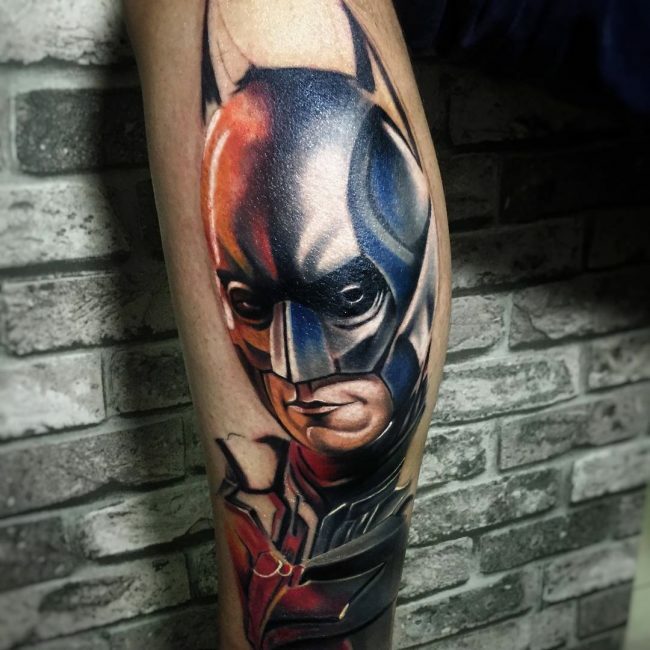 The love for this superhero and the values he stands for makes these tattoo designs popular and unique. 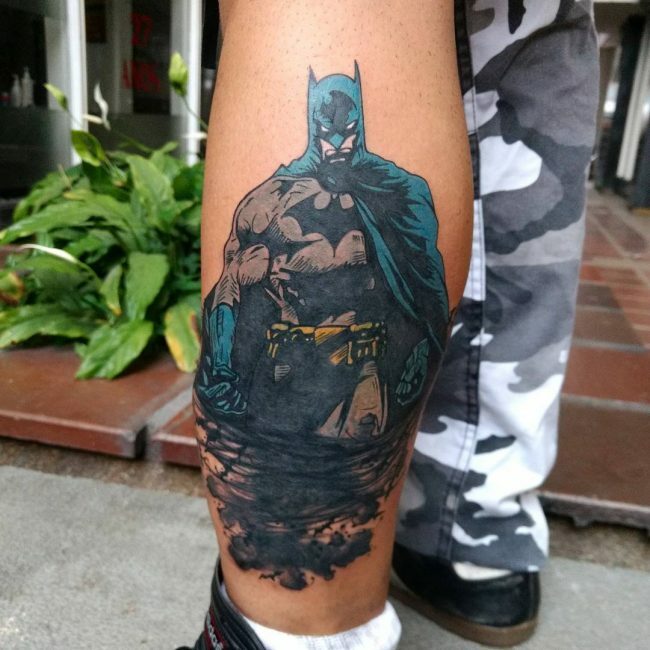 A brilliant Batman tattoo demonstrates Gotham guile, and his slick machismo forms ideal tattoos. In 1940, the first Batman series was released. He showed his skills to solve crimes.Batman was the first superhero without any superpowers in a comic. He was an average man, intellectual, rich and powerful. He lived a noble life. 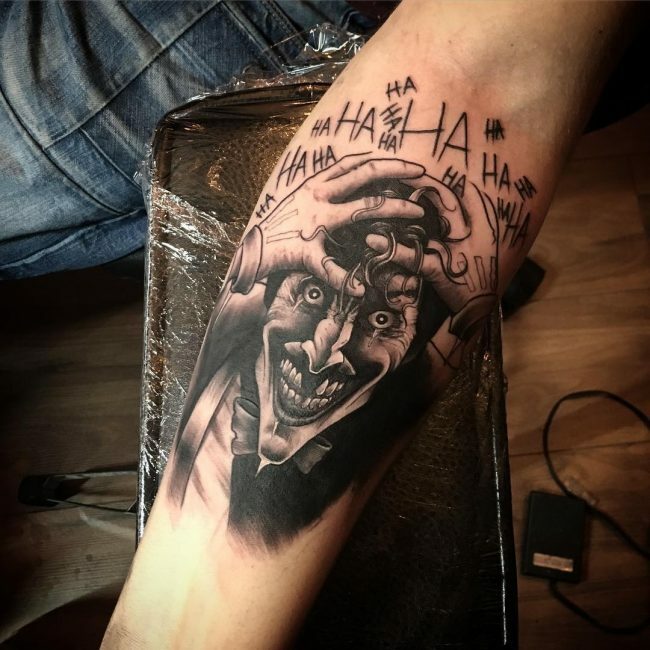 His cartoon was among the most popular cartoons of all time, and since then, many movies and reboots have been produced to keep the interest alive.Batman has made quite an impression in the lives of many people. 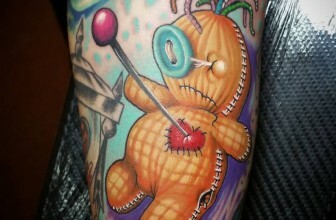 People have used these tattoos to show their characters and individuality. 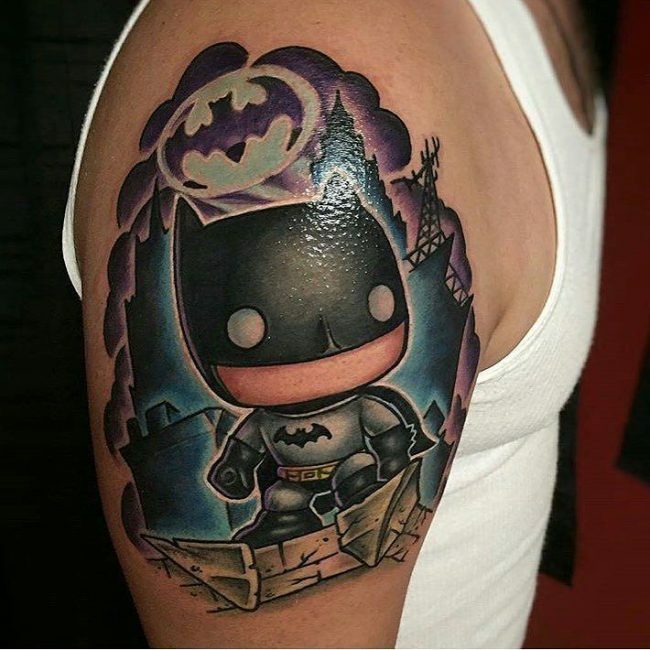 This is what has led to the urge of exploring various Batman tatts in most people. It always symbolizes what a person stands for; which is good values in the society such as justice. Batman, in some cases, enforces these societal values by use of mighty force. However, despite this, he believes that the end justifies the means. He symbolizes hope for the Gotham people.He shows care and looks out for his city; keeping those evil things at bay especially during the night. 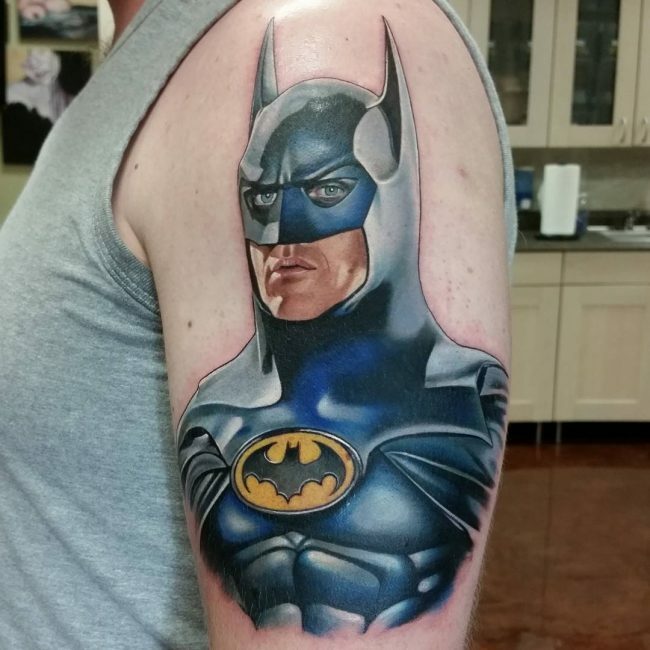 Batman is a symbol of hard work, sheer courage, dedication, and love for your people. It is a clear depiction of amazing skills that are amassed over years of pain, will and training. 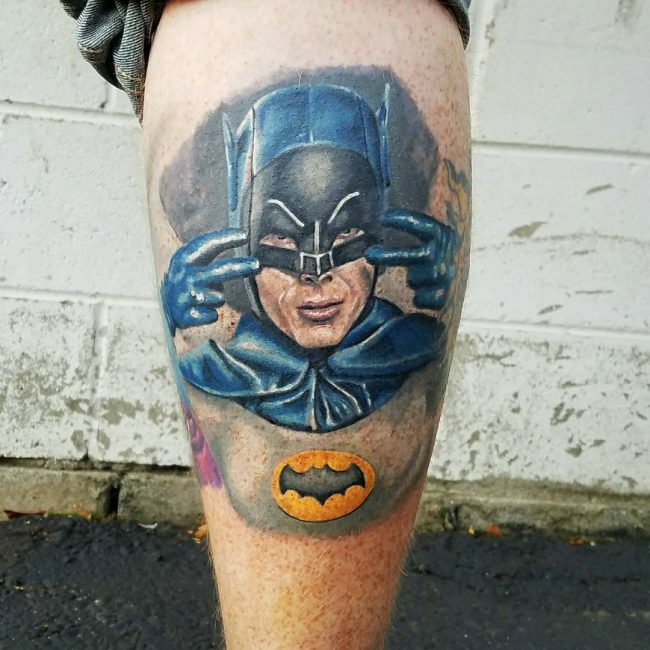 Generally, Batman tattoos are full of color and very heavy. 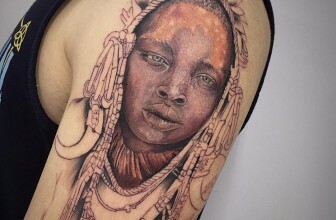 These tattoos are not simple sketches and therefore need a lot of needle time and quite some work by experts. Getting work requires gathering all the courage. It can prove too much of pain for normal humans but is nothing to ink lovers. 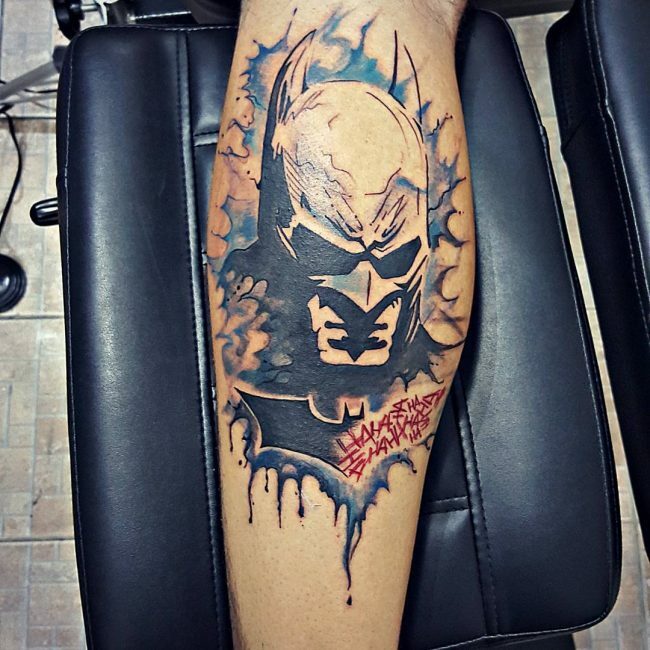 As men, having a Batman tattoo shows you got the strength and courage to have it engraved on your body. 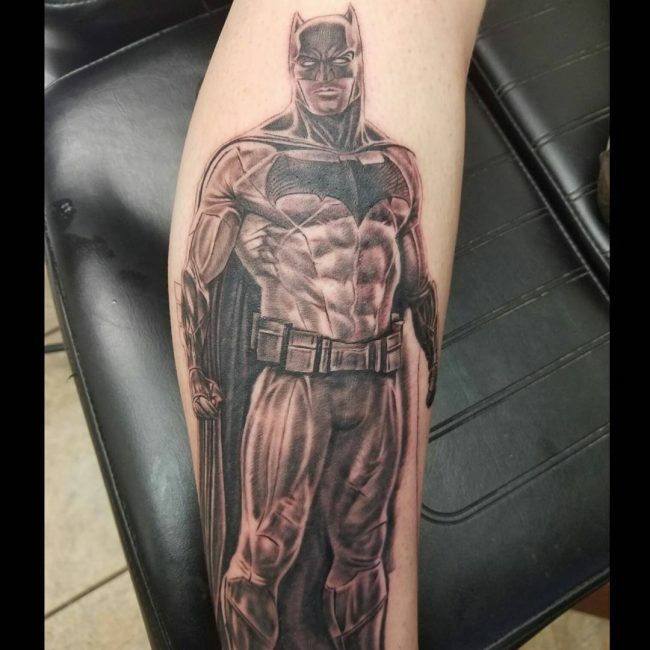 You can choose to get a Batman tattoo of his awesome cape, his face, one of his symbols, or the ever glorious Bat-Mobile. 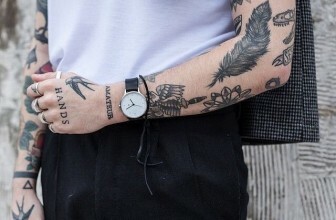 These tattoos are ever super cool especially to those with dreams of being rich, indomitable and fearless. 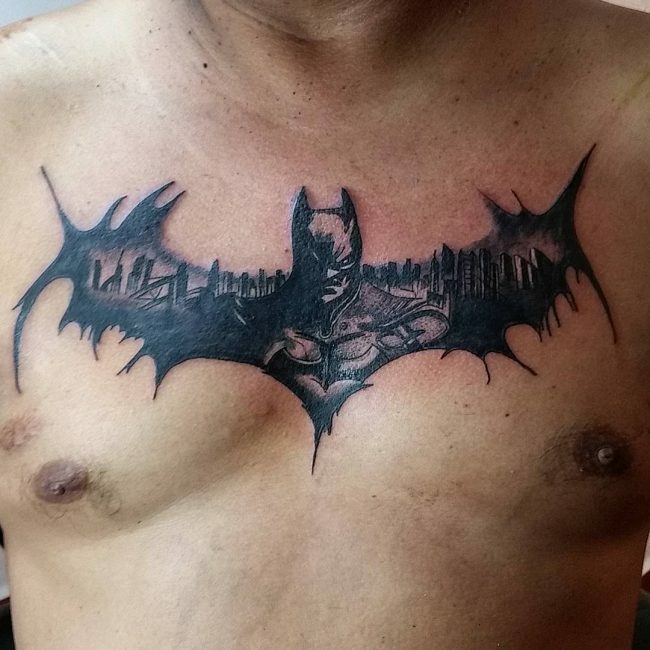 The Batman Chest Tattoo: It is a white and black abstract tattoo. 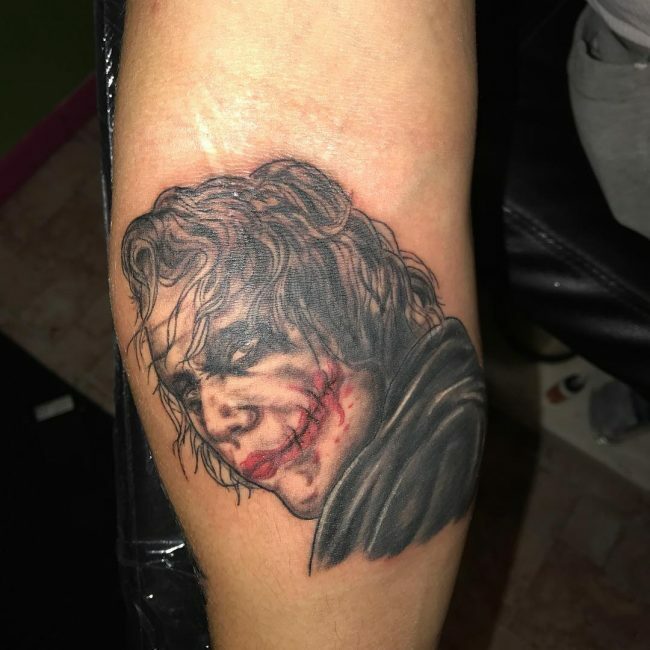 It is made up of the Black Bat logo, where a line of the Jokers famous Ha ha’ appears on the side of this logo, fading continuously. 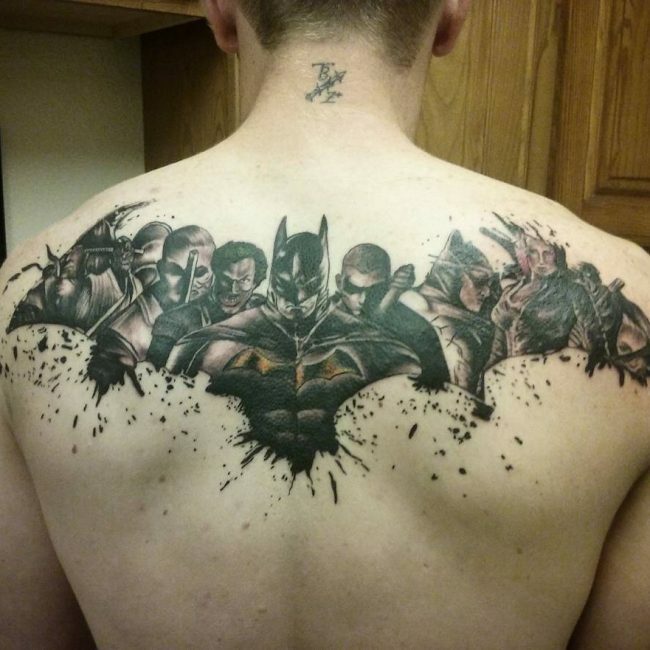 The Batman Chest tattoo symbolizes Batman vs. Joker and is ideal when designed at the back or around the chest. 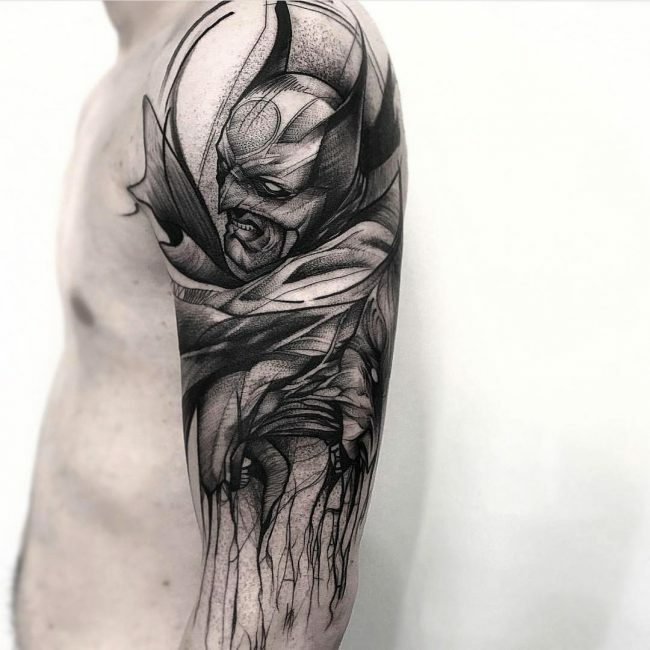 The Batman Sleeve Tattoo: It is a popular gothic tattoo design that is more abstract. 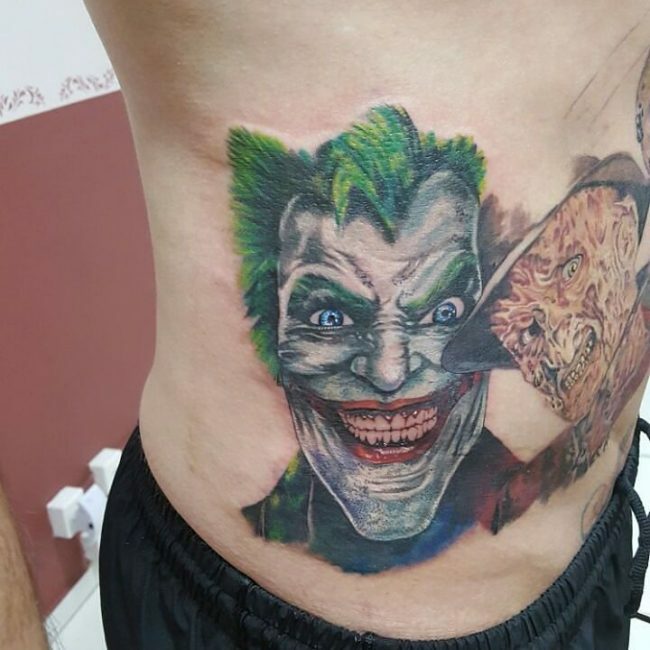 In it is the Batman logo, which has a Jokers Right in its center that appears to come out. 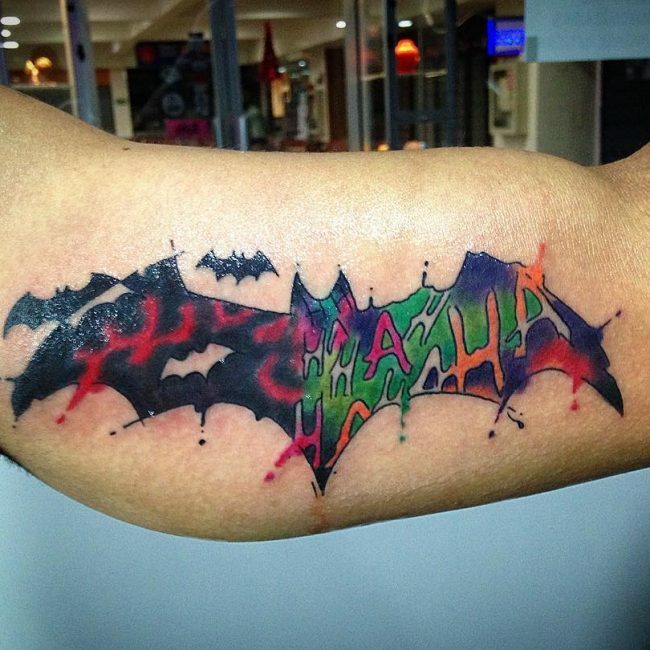 The Bat logo also bleeds purple. It is an ideal design for the shoulder. 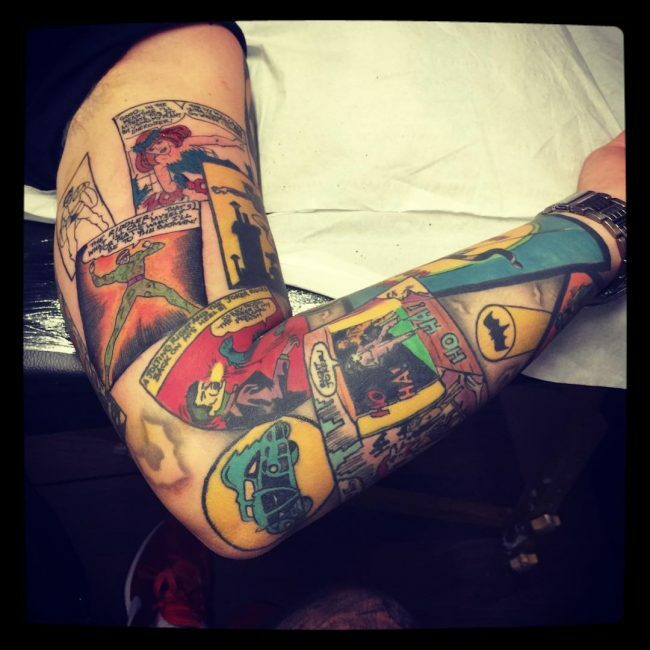 The Batman Arm Tattoo Design: It features one of the oldest illustrations by Batman. 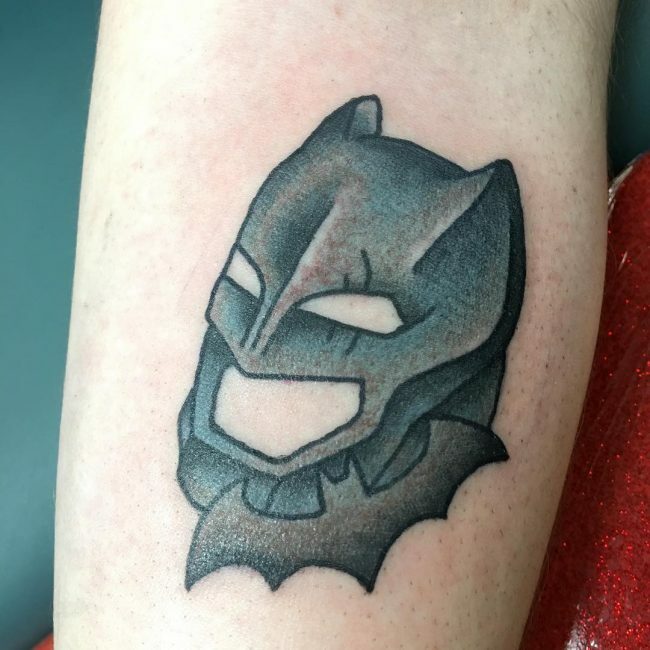 It is a color tattoo with Batman’s face. In its background are two intersecting bats. The Batman’s face is illuminated on one side by a light orange hue. It is ideal for the bicep area. 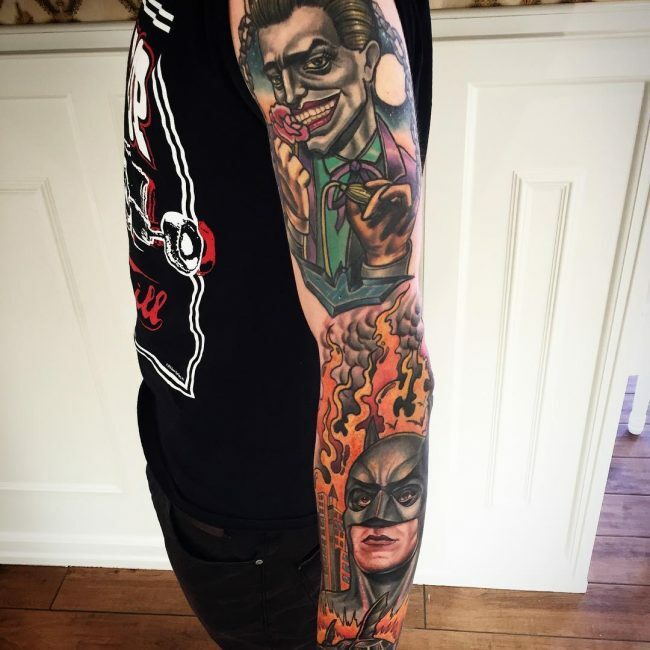 Batman tattoos on wrist: Its origin can be traced from the series Batman Unchained. 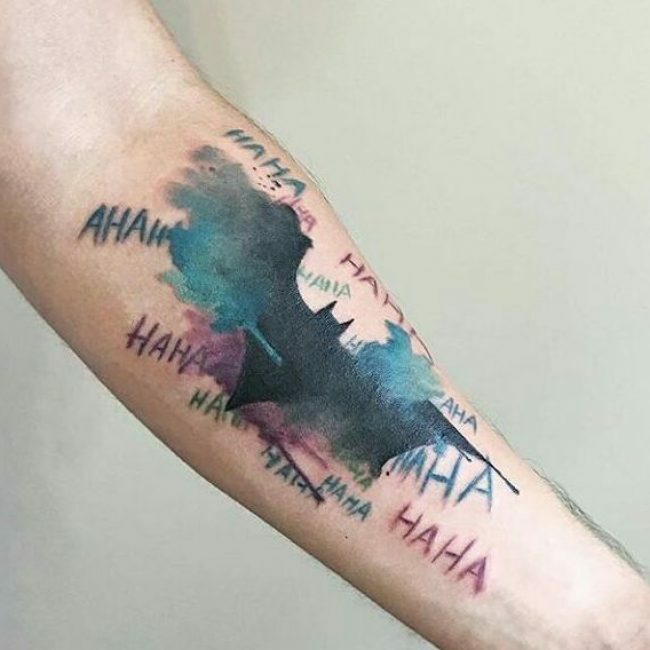 Its a color tattoo that shows Batman and the Joker smiling just above him. It has a purple-blue smoke on its background. 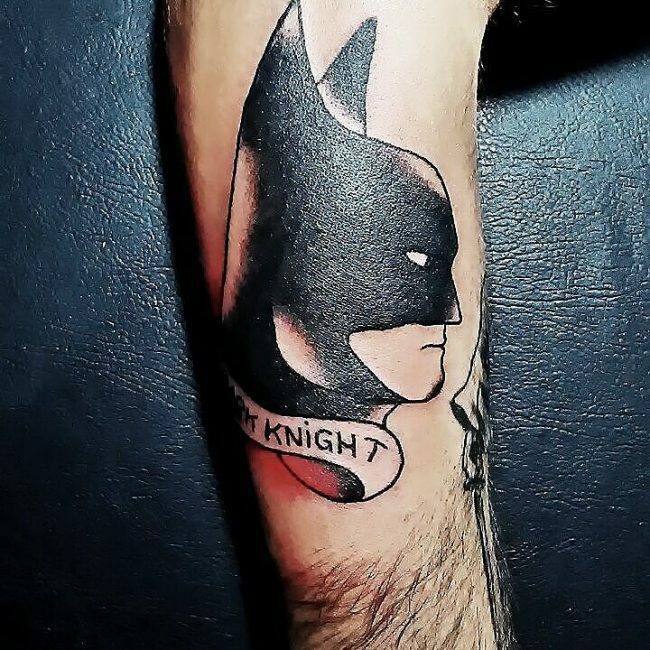 It appears great when on your forearm, down to your wrist. 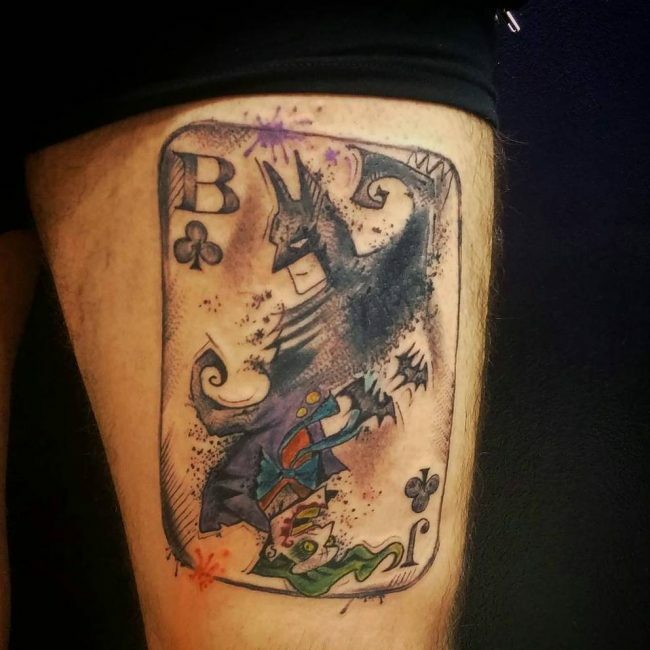 Batman Joker Tattoo: This is the first Batman vs. Joker logo. 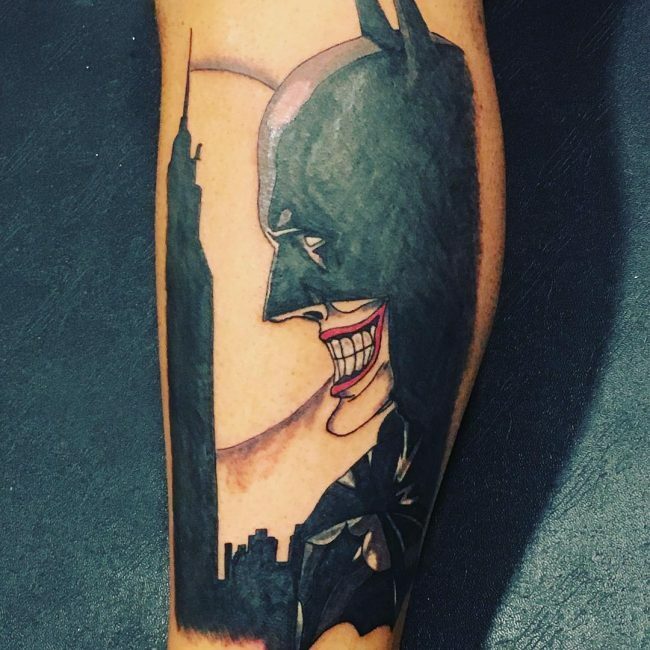 It features the Bat logo which has a classic smiley Jokers face in the center. 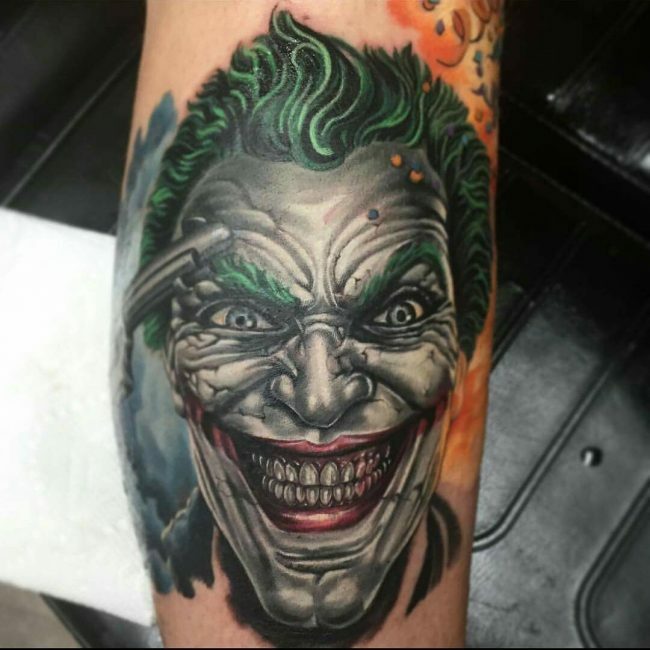 The Batman Joker Tattoo is a pagoda style tattoo in colors ideal for an appearance on man’s arm. 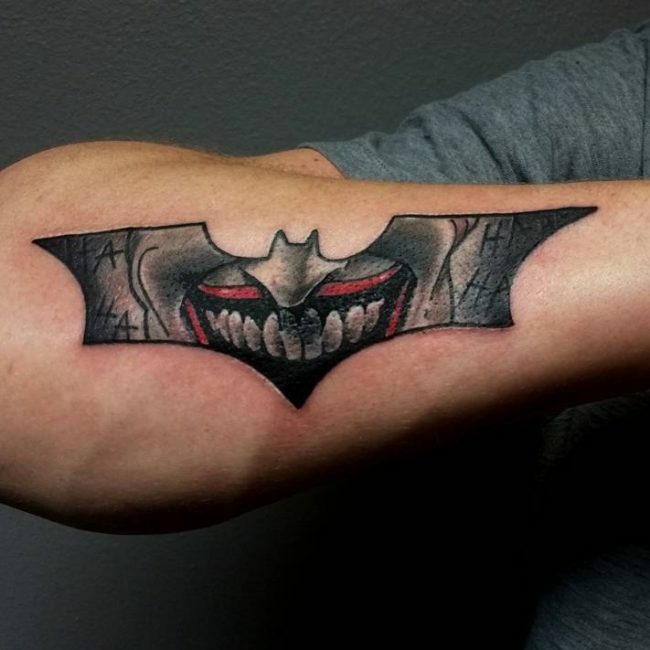 Batman tattoo on forearm: This tattoo is a more serious design of the Batman mask. 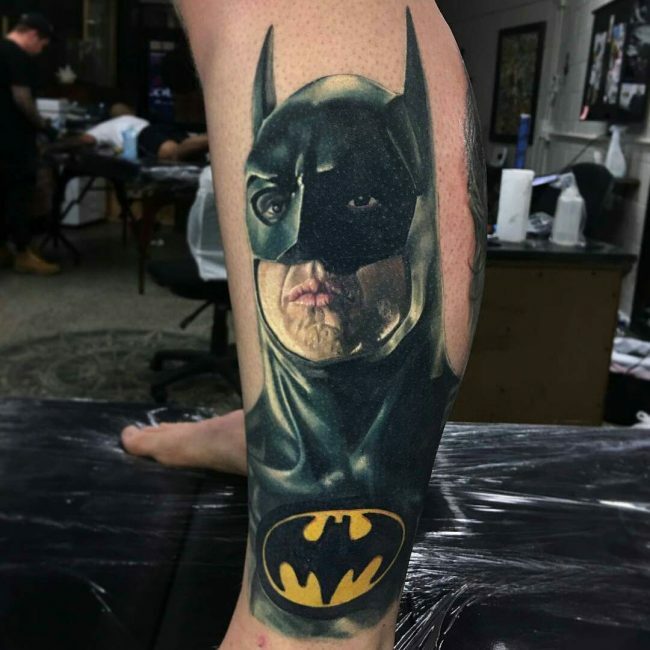 Its a portrait design that interests most men. 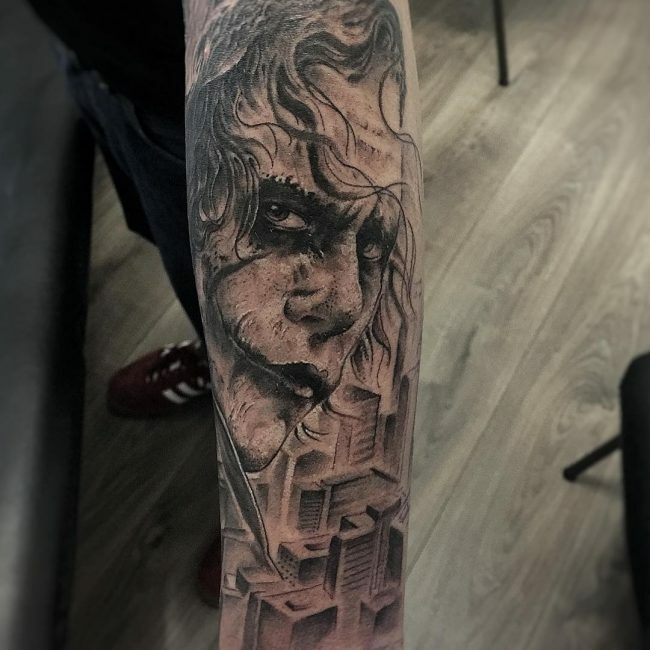 It is a grey, and black tattoo meant for the forearm or sleeve. 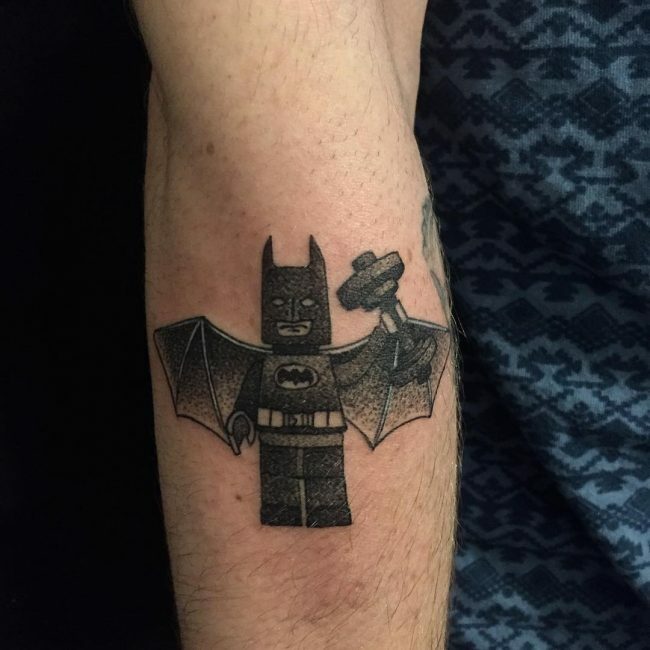 The small Batman tattoo design: It is the most common design of all time among men. 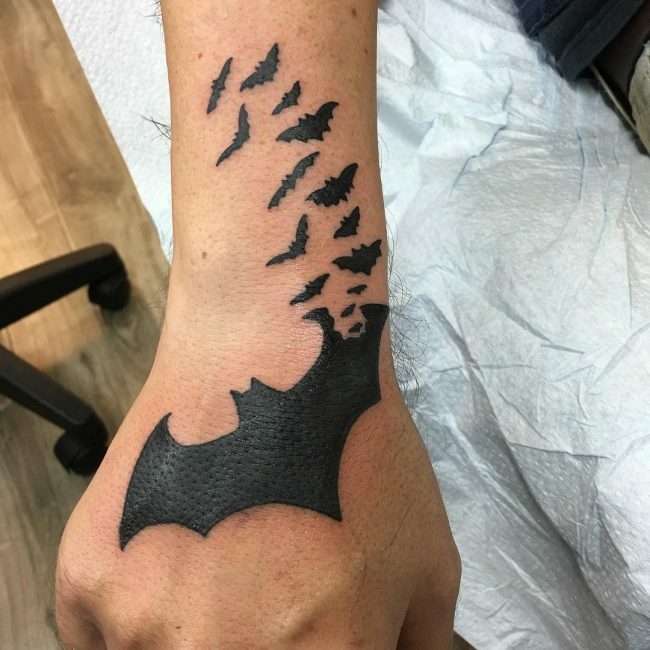 It consists of the usual bat symbol shaded black. The baratang’s inner end has a fade. It is not the hardest to design but requires skills. 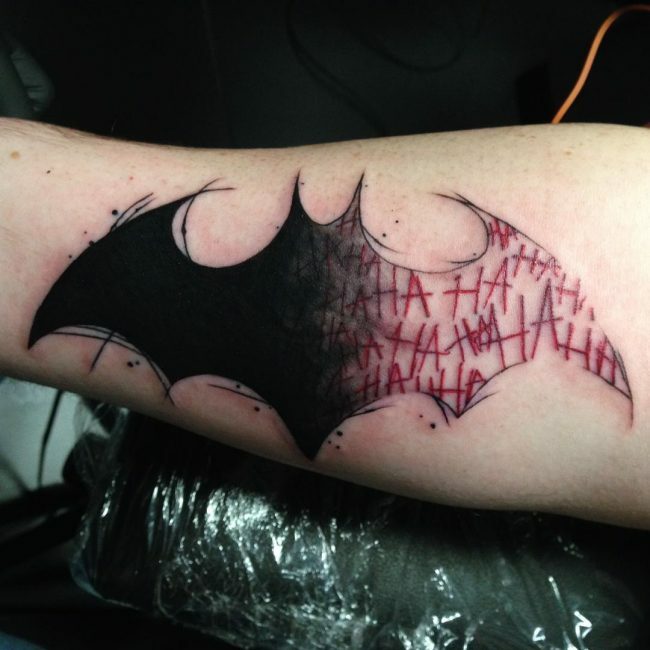 The Traditional Batman Tattoo: It is an abstract take or design of the bat symbol. However, it does not appear so traditional. 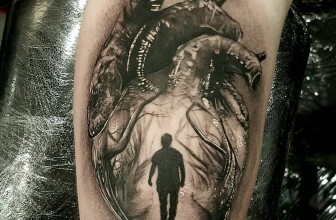 This tattoo is black and white, designed with lace and bead patterns entirely. It is designed for the biceps and thigh region. 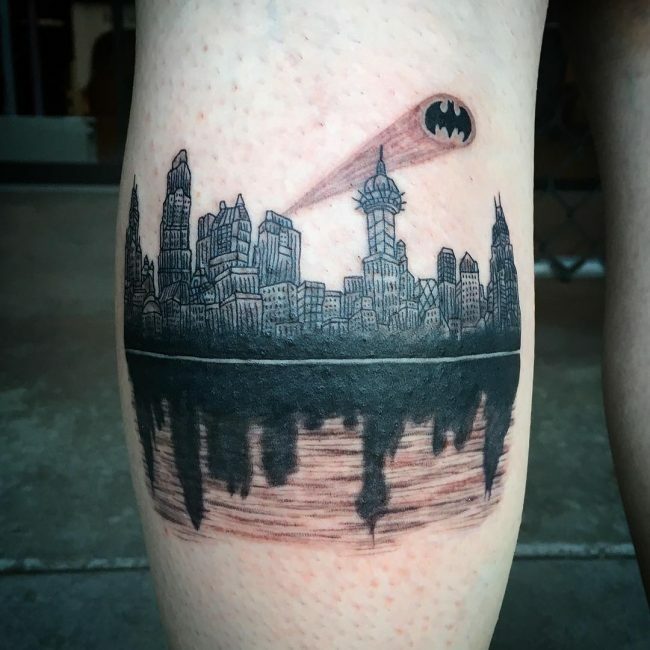 The Creative Batman Tattoo Design: This creative design features the Bat signal and shows small black hats collectively forming a structure like half the Bat signal. 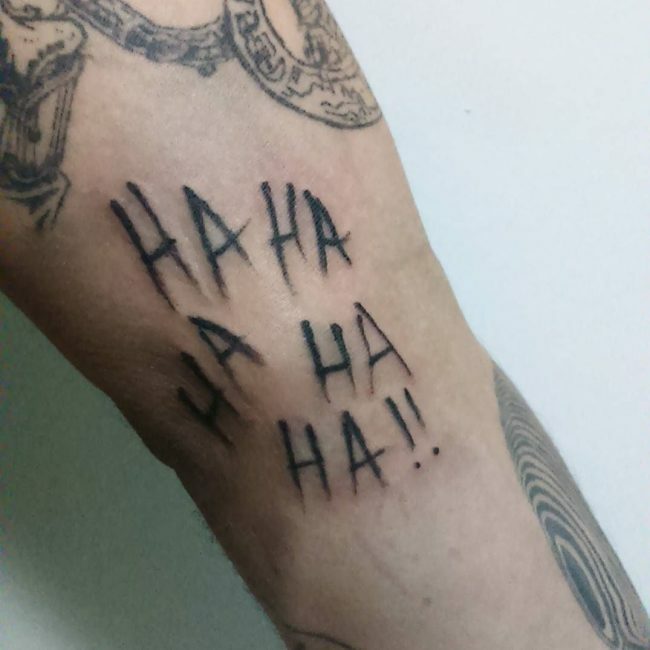 The other half is made up by the Jokers Ha ha’ written in some small red letters. This is also a Batman vs. Joker illustration. 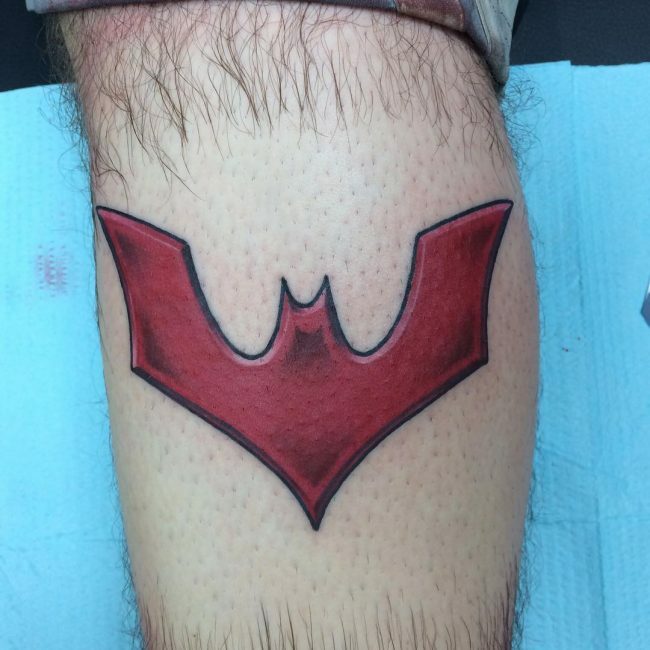 Together, the red and black form a unique Bat symbol. The tattoo can be placed anywhere on the body but is ideal when designed below the neck. 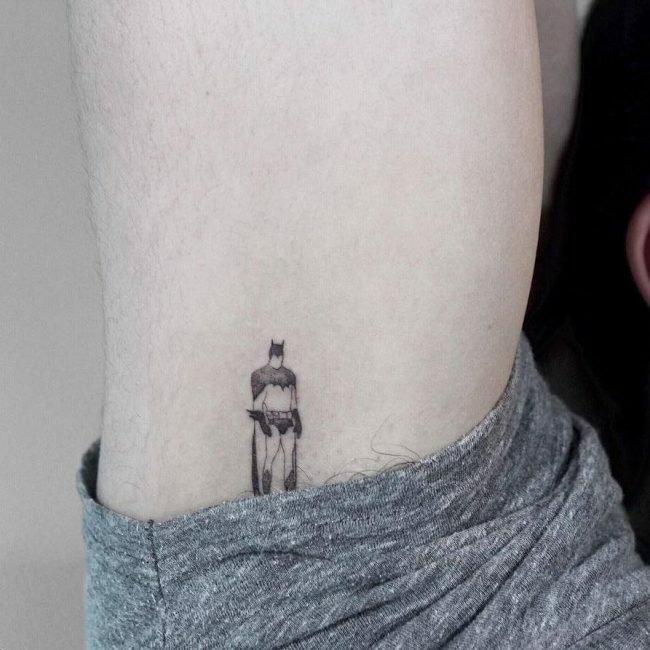 The Batman Mask Tattoo: This illustration simulates the Batman movie, and its design looks real. It is designed for the shoulder and can come up to the torso. 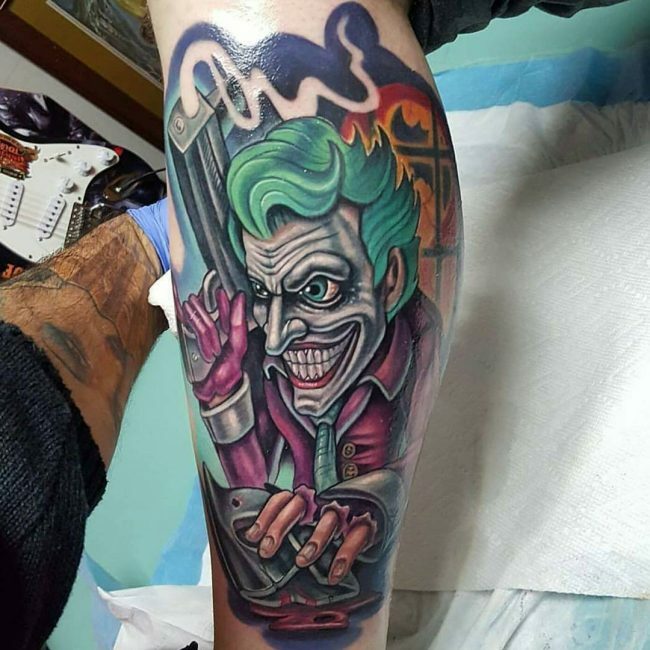 It is a color tattoo but with very few colors. More attention is applied towards getting the cape, mask and suit right. 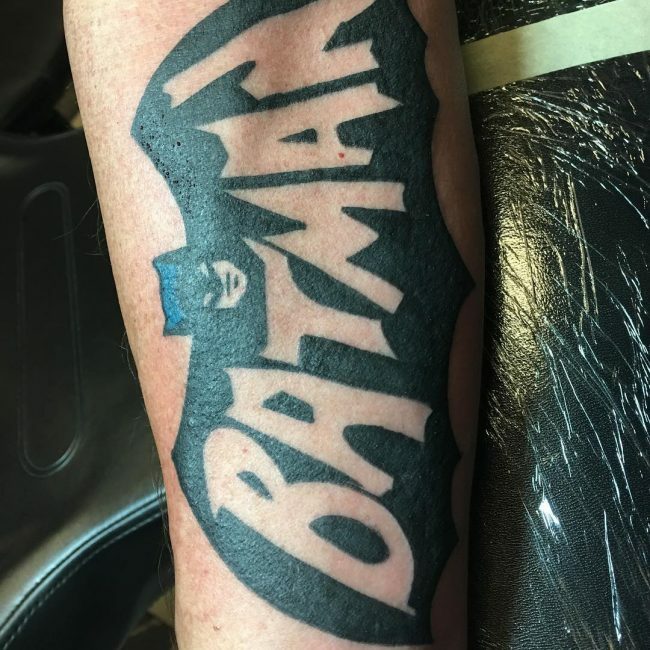 With these Batman tattoo designs in mind, there are three important factors to consider when choosing a tattoo design. 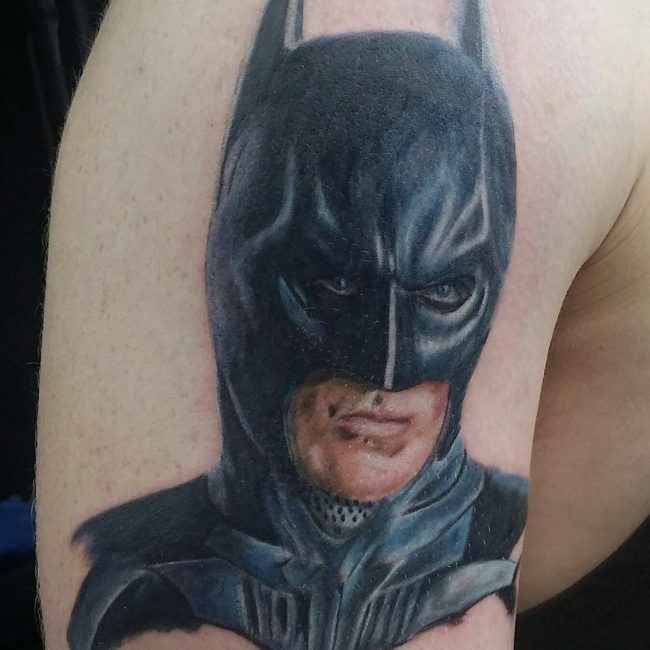 You should ideally choose a Batman tattoo that is a symbol of your personality or character. 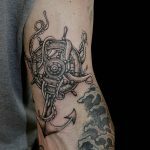 If you do decide to have a tattoo, then you should choose one that has some significance or meaning, and is relevant to you. 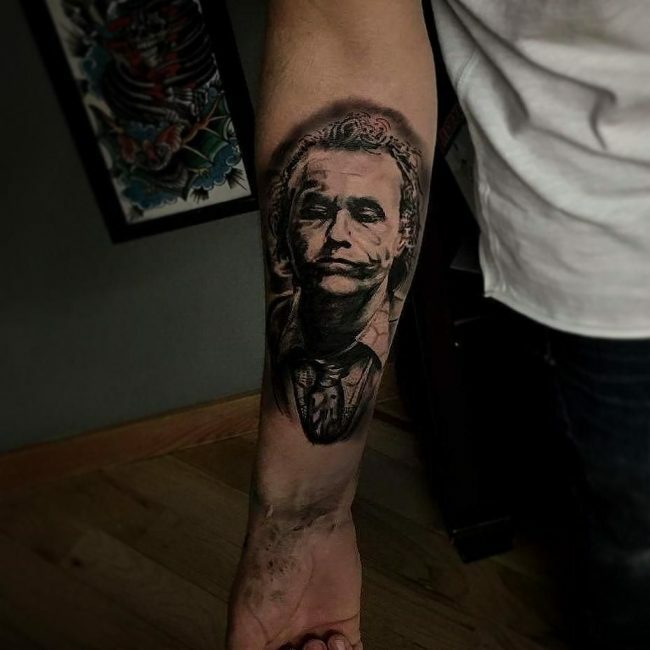 This is because a personality-based tattoo will always be more satisfactory in the long run than a tattoo chosen on impulse, which nearly always leads to regret later on in life. The second factor is that of location and relevance. 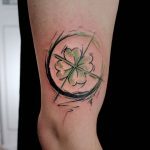 In other words, whichever tattoo design you choose, it should be ideally suited to the part of the body it will be located. 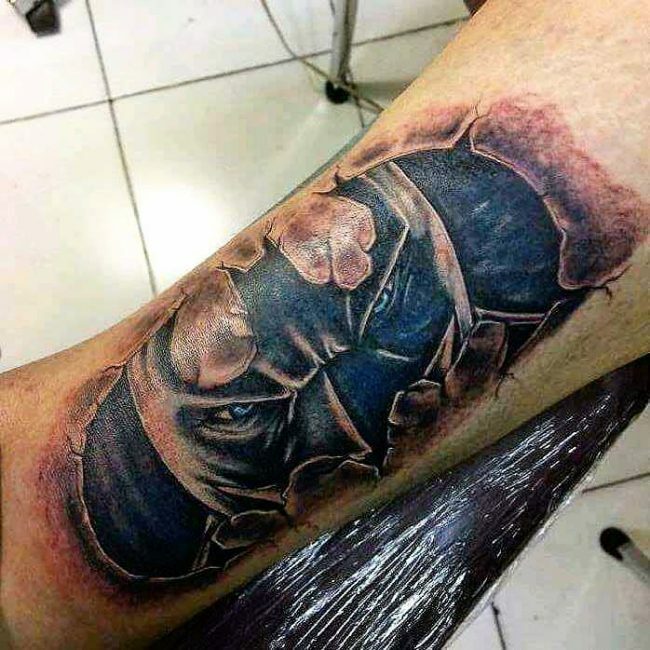 Certain tattoos and specific designs look better on certain parts of the body so you not only need to choose a good design, but you also need to make sure it won’t look out of place. Another factor to consider is that of timelessness. 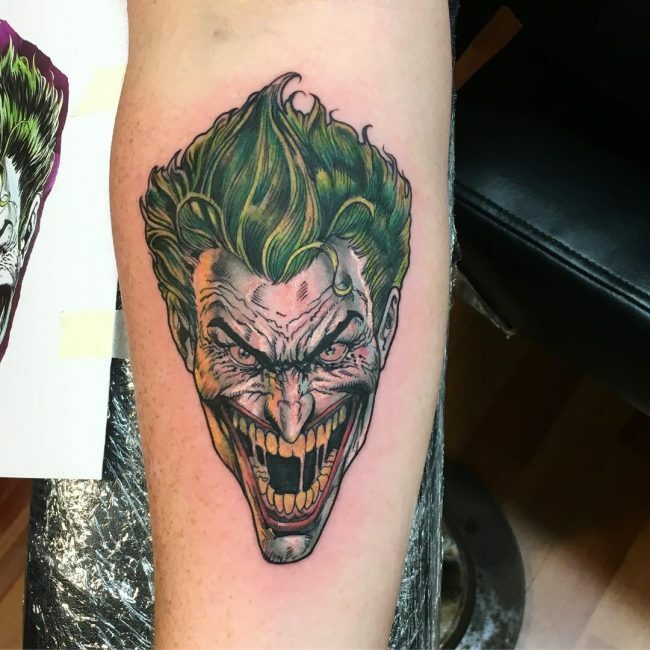 If you’re going to get a permanent tattoo, then you need to choose one that you will be happy with for the rest of your life. 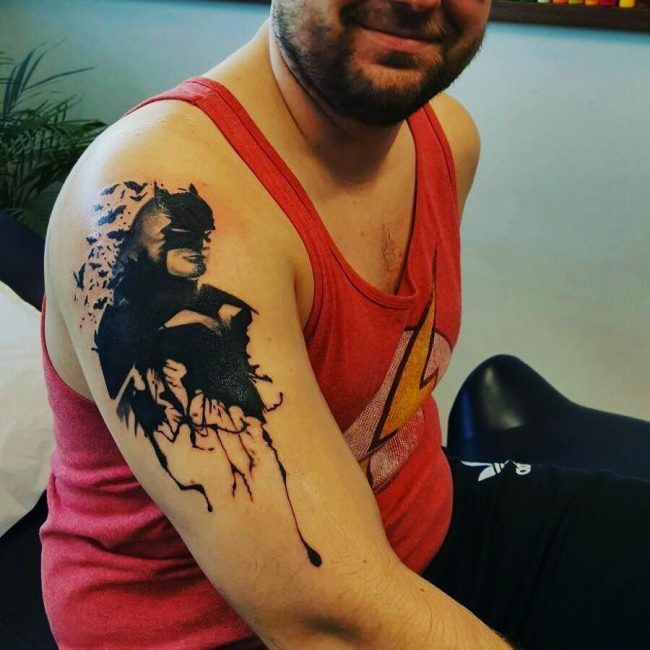 Batman tattoos that have the kind of meaning based on your personality or personal interests or hobbies.